Nintendo has been under fire form fans because of it’s systems region locking, with the next gen consoles PS4 and Xbox one becoming region free a Nintendo one fan has started a petition asking Nintendo to the same. The fan acknowledges Nintendo’s attempts of shorting the gap in release dates between worldwide, but asks if for the Nintendo to open the 3DS, Wii U, and Wii systems region policies to free. The Electronic Entertainment Expo (E3) is quickly approaching. Press conferences begin on Monday, June 4thfollowed by the show on June 5th through June 7th, expect a ton of surprises to be revealed during the show. 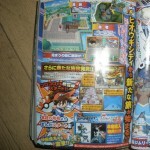 Pokemon fans gets a moment to jump for joy, new details are coming out thanks to the folks at Pokejungle as they’ve gotten their hands on some unique scans relating to Black and White 2. We’ll try to preserve the format but make it a little easier to read along. Keep in mind this is a rough translation they’ve managed based on the 2CH scans that popped up so there will be some vague sections based just on what the magazine gave up for info. 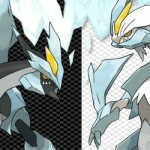 Scoop 1 talks about White Kyurem’s attacks. Scoop 2 talks about the secret of the frozen map. Caption reads “What happened here?”. This takes place 2 years after Black and White. Scoop 3 says new pokemon will be in Unova, ie: old pokemon. The pokedex has about 300 pokemon now. Scoop 5… new characters! Blue haired character is your rival and is from Hiougi City. His caption is “I’m gonna get mad now!” A new mysterious researcher named Akuroma! He’s studying about the strength of Pokemon. Sometimes he’ll help you… There’s a new gym leader named Homika (guitar player) and she is the “Master of Poison”. She will also appear in the anime on June 14th! Shizui is a new gym leader as well specializing in water types! He will give you advice. Scoop 6, this adventure will begin from Hiougi City. It is southwest of Unova. It is a very hilly location. Male character is standing in front of his house. Hiougi has a PokeCenter and trainer’s school! Unova has many new facilities. Caption by golden building says “What do the blue and red objects mean? Looks fun!” Under that screenshot, on the road, the caption says “There are many stores! What can you buy?” Next screenshot is a glass-encased road underwater. Appears the preorder bonus is shown, could be a poster. 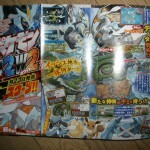 The related scans have been included, it’s a large chunk of information dug out of the magazine in just a few pages. 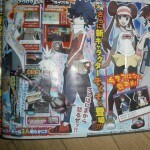 Also included is character art relating to the game and tiny screens on those pages. Pokemon fans rejoice! Today we have a flurry of news that started this weekend when Japan announced Pokemon White and Black 2 for the DS, joining that announcement is PokePark 2: Wonders Beyond for the Wii going to retail today. 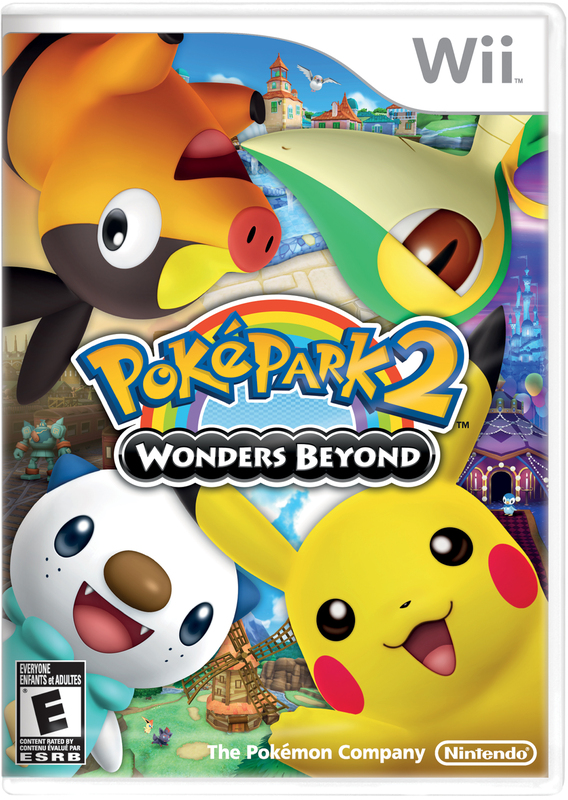 In PokePark 2: Wonders Beyond players will embark on a new adventure with Pikachu and Oshawott, Snivy and Tepig who work together to discover the secrets of Wish Park and the missing Pokemon. With dynamic character changes it’ll take an understanding of everyone’s strengths to push forward and tackle the puzzles and challenges along the path. Pikachu will encounter new Pokemon and old friends in a vast selection of new areas and environments and have the chance to engage them in hide-and seek and battles as well. Pokemon Black and White 2 is the successor group to the recently released games on the DS already, it’s compatible and coming to North America this Fall leaving a short window from the Japanese release this summer. Nintendo has little to say on the game so far but you can check out the Japanese site for more details and wing your way around with Google Chrome to translate. March 23 brings the arrival of Kid Icarus on the 3DS, with over 2 decades between releases they have a lot of ground t cover, thankfully Nintendo has paid close attention and has a slew of modes and features to bring it up to current standards. With multiplayer modes like Light vs. Dark, Free-for-All and a wide array of weapons it’s hard to imagine putting this game down soon after the release. Check out the full list from the press release though for full details. Light vs. Dark: Team up with other players in Light vs. Dark multiplayer mode, in which two teams of three are pitted against one another. The ultimate goal is to empty the opposing team’s health meter, which transforms the last defeated team member into an angel. The team who defeats the opposing team’s angel wins. This unique multiplayer mode tests players’ ability to work as a team while keeping the match exciting as the focus constantly shifts from dealing out damage to protecting the team angel. Free-for-All: In this mode, up to six players (including CPU players) combat each other in a winner-takes-all match. Winners are determined by high score, heavily influenced by both the number of kills and the number of deaths. Match Set-up: Both Light vs. Dark and Free-for-All multiplayer modes are playable through local wireless play or online for players with broadband Internet access. CPU players will fill out the roster if there are fewer than six players in a match. Duration of the match, CPU difficulty, weapons and team handicaps are all customizable prior to beginning a multiplayer battle. Weapons and Weapon Fusion: The wide variety of weapons a player has collected in single-player mode can be used during multiplayer matches. Players can also earn additional weapons as rewards in multiplayer play. Players can choose set combinations of weapons and powers before entering into a match. This provides further incentive for players to continue collecting different and more powerful weapons as they play through the single-player campaign. Players can also fuse weapons together at the Arms Altar. Fusing two weapons will result in a single, more powerful weapon that retains some of the key benefits of each, giving players the ability to customize weapons to match their play style. Fused weapons can also be used in multiplayer matches. StreetPass: Through the StreetPass functionality of the Nintendo 3DS hardware, players have the ability to share one of their weapons with other Kid Icarus: Uprising owners. The selected weapon is turned into a Weapon Gem. Shared Weapon Gems can be converted into real weapons by paying Hearts. Players can also fuse Weapon Gems together by paying Hearts to create a more powerful Weapon. Pre-order at GameStop, Best Buy and Amazon.com users will also get a bonus code for the original Kid Icarus game remastered in 3D when they pick up their game but only in the US so far. If you like to wait until the last minute to find the perfect gift, then Nintendo has you covered. 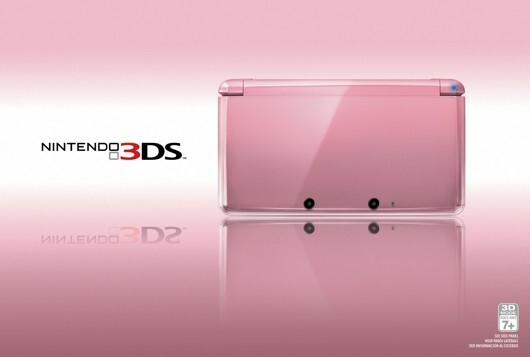 Begining on Feb 10th, you can pick up a shiny Pink Pearl 3DS for $169.99. 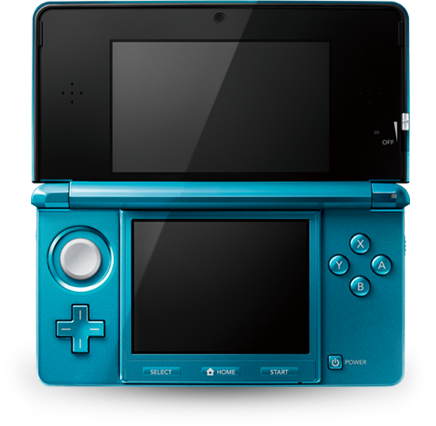 While not exactly a brand new color since it was previously available in a Nintendogs bundle, it is still unknown how limited the run will be. If you already bought that special someone the Nintendogs bundle, looks like you may need to consider other gift ideas since this is the same system. Same price too just no free doggy game. REDMOND, Wash.–(BUSINESS WIRE)– Nintendo of America has a perfectly pink new option for consumers looking to win over their loved ones this Valentine’s Day. Starting Feb. 10, a Pearl Pink edition of the Nintendo 3DS™ hand-held system – previously available only as part of a limited-edition bundle – will be available as a stand-alone item at retailers nationwide, offered at a suggested retail price of $169.99. With the system’s built-in camera, sweethearts can each use their system to capture and share 3D photos and videos of romantic outings this Valentine’s Day – and always. The new Swapnote™ application, which is available for download from the Nintendo eShop at no cost, lets users create and send customized 3D love notes to their sweethearts from their Nintendo 3DS. The adorable virtual pets in the nintendogs™ + cats game can bring out players’ sweet side and make great portable companions on those lonely days when they’re apart. Users can share creative passion with their beloved by playing downloadable games such as Pushmo™ and Freakyforms™: Your Creations, Alive!, both available from the Nintendo eShop, and by exchanging QR codes to show off their heartfelt handiwork. The multiplayer modes in the Mario Kart™ 7 game invite players to get their hearts and their karts racing on a wild array of 3D Mario-themed courses. The Nintendo 3DS System Update is here! It’s been mentioned a million times already but Nintendo finally has their system update available now. There are a few new features rolling out but the biggest is 3D video recording, stop-motion recording, the upgraded eShop and the StreetPass Mii Plaza. For those wondering about Hulu Plus. No sign of it yet in the update notes the shop or on Hulu itself, what was one of the most anticipated updates is still missing from the 3DS. There’s a lot of functionality here but I think most of the attention will be toward Hulu Plus missing the boat again on the 3DS. Only time will tell is Nintendo is content with just Netflix on board and their internal video service or if they’ll make that leap finally. Posted on December 7, 2011 December 7, 2011 Author Gabriel VegaCategories Games, NewsTags 3D, 3DS, december, eshop, mii, NetFlix, streetpass, system, Update, video3 Comments on The Nintendo 3DS System Update is here! 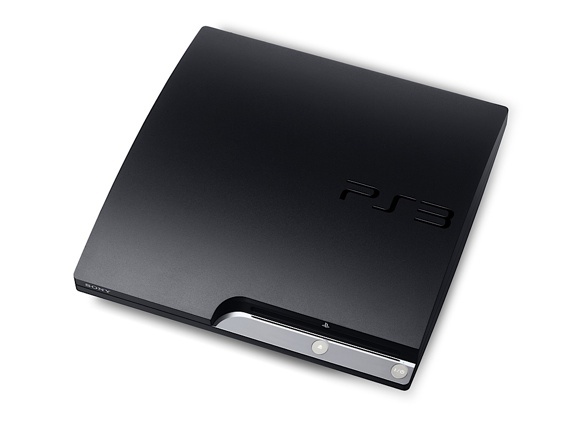 Starting today Sony has dropped the price of the PlayStation 3. The 160gb model is now 249.99. If you need more storage, the 320gb model is now available for 299.99. Interestingly there is also an 320gb Infamous 2 bundle that includes 30 days of PlayStation prime for 299.99. That maybe the one to get if you are in the market, I believe supplies will be more limited. Also worth noting, the new price point makes the “entry” level PS3 cheaper than the Vita. The Vita is priced at 299.99, which is a bit on the steep side for a handheld. The Vita seems to be feature rich but Nintendo has dominated the handheld market for over a decade and struggled to sell the 3DS at 249.99. Will consumers respond to features and applications or are the sales going to depend on the quality of the games released? 169.99. That is all that separates you from a brand new 3DS starting on August 12th. Sounds too good to be true? Here is the official word. “What if I already bought one for $250?” Good question. Nintendo is giving you 20 free games. Early adopters will get 10 NES games and 10 GBA games. All you have to do is log in to the eShop before the price drop date to register. The rest of the titles will be announced shortly. Also, the GBA titles will never be available for purchase in the eShop.They are entirely exclusive to members of the early adopter Ambassador program.